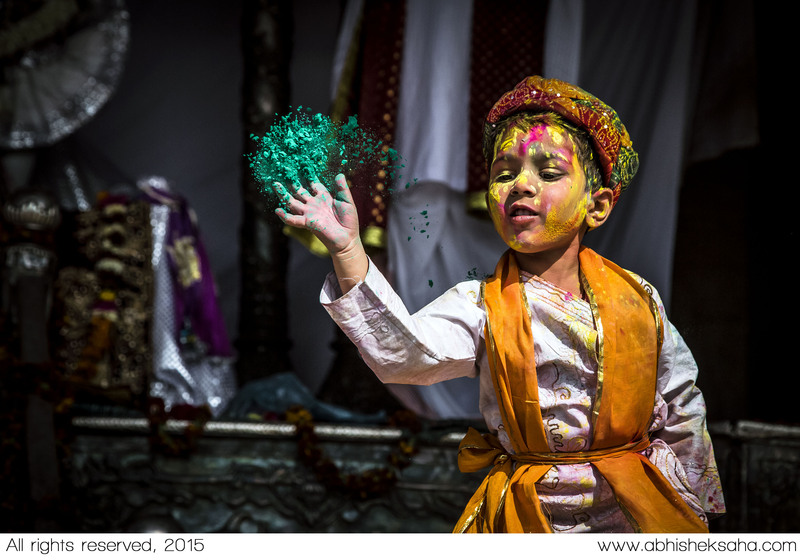 Mythology says Nandgaon is the village where Krishna stayed for a few years with his foster father Nanda Baba and mother Yashoda. 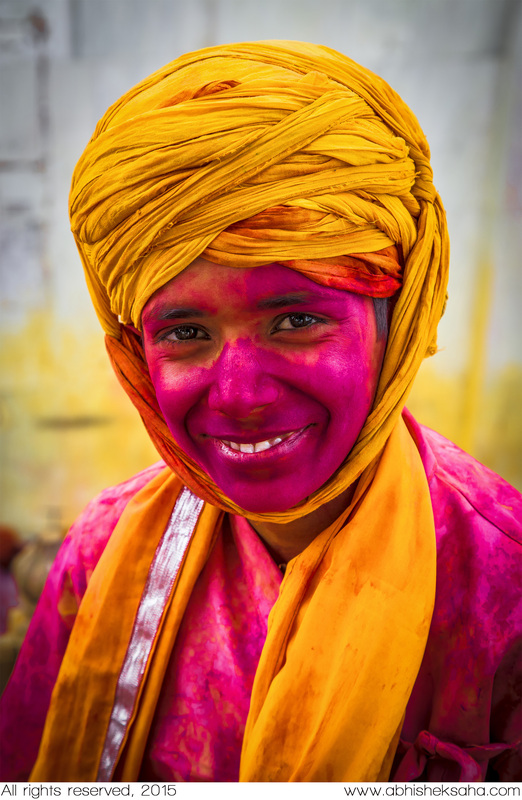 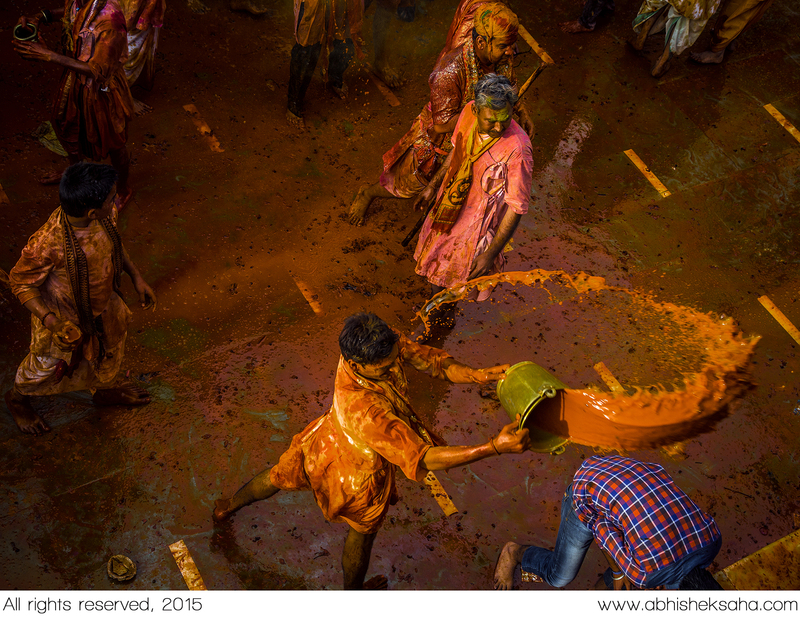 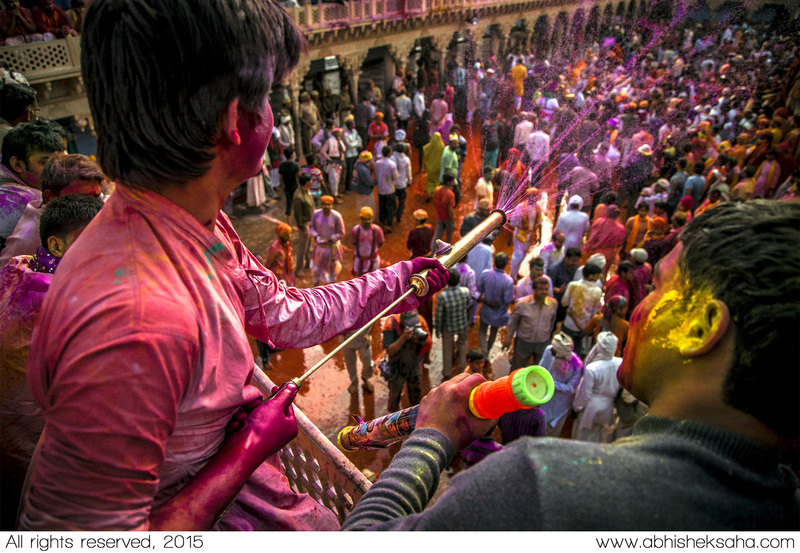 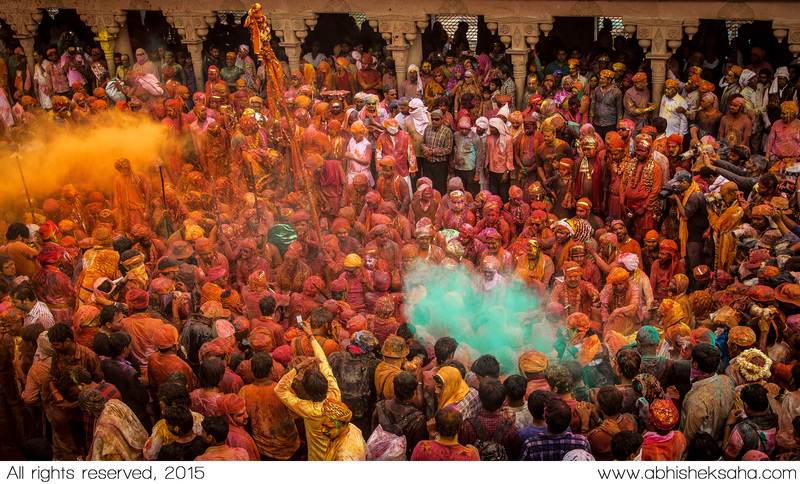 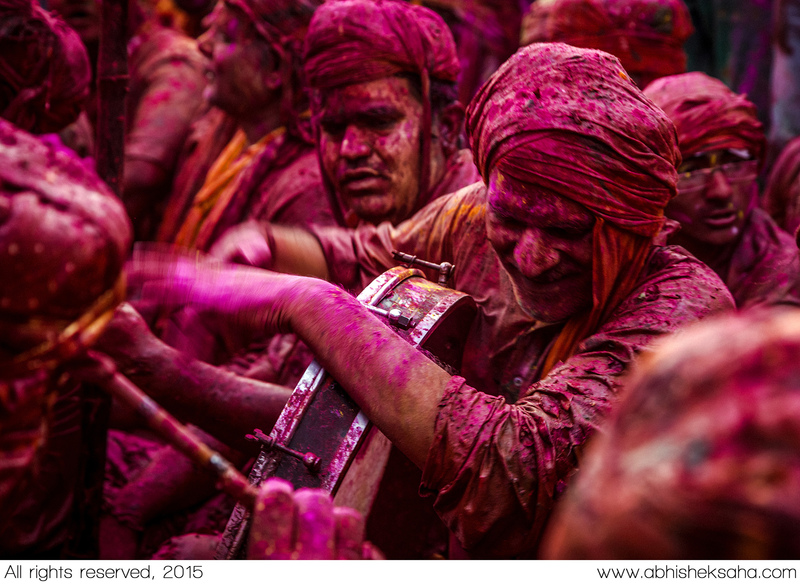 Nandgaon and the adjacent Barsana, the native place of Radha, is where Holi is played in all its multi-hued glory as villagers re-enact the romantic escapades of the two lovers through the Lathmaar Holi. 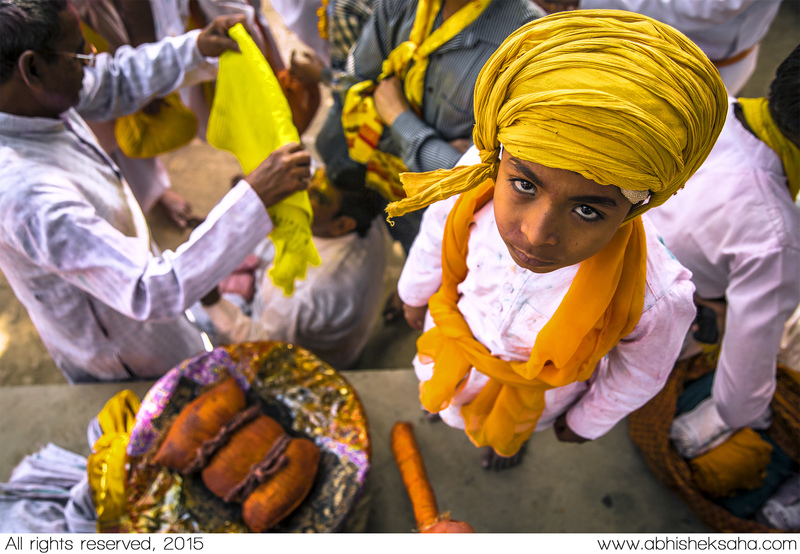 The festival is celebrated over three days, almost a week ahead of the festival in the rest of the country. 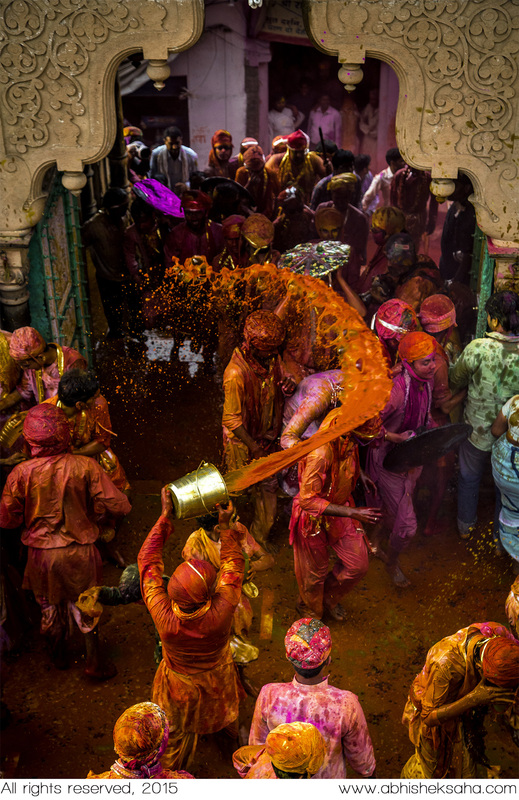 On the first day, transvestites from Barsana — sakhis (Radha’s friends), according to mythology — come to Nandgaon to invite the men — Krishna and his friends — to come and play Holi. 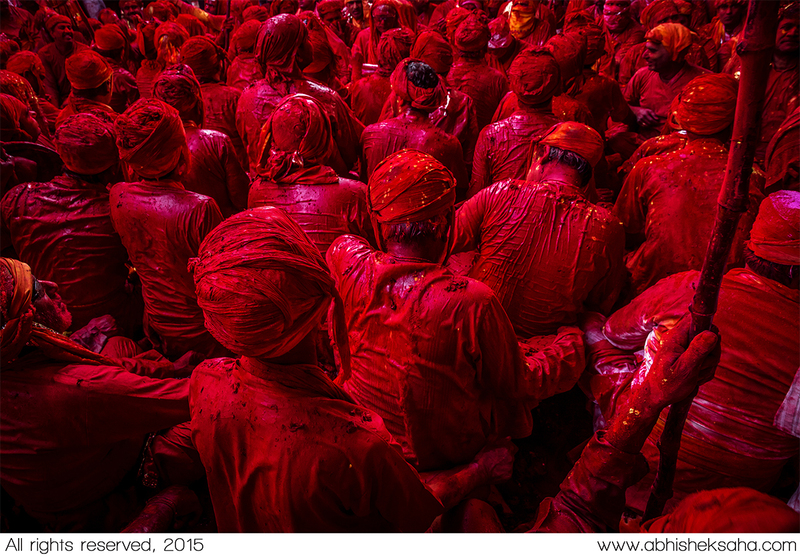 The next day, Nandgaon’s men visit Barsana where the women chase and hit them playfully with lathis. 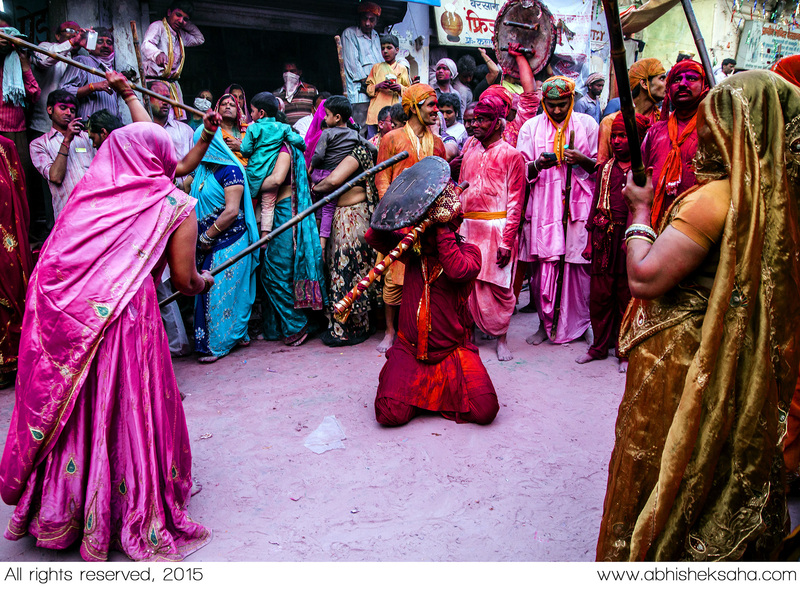 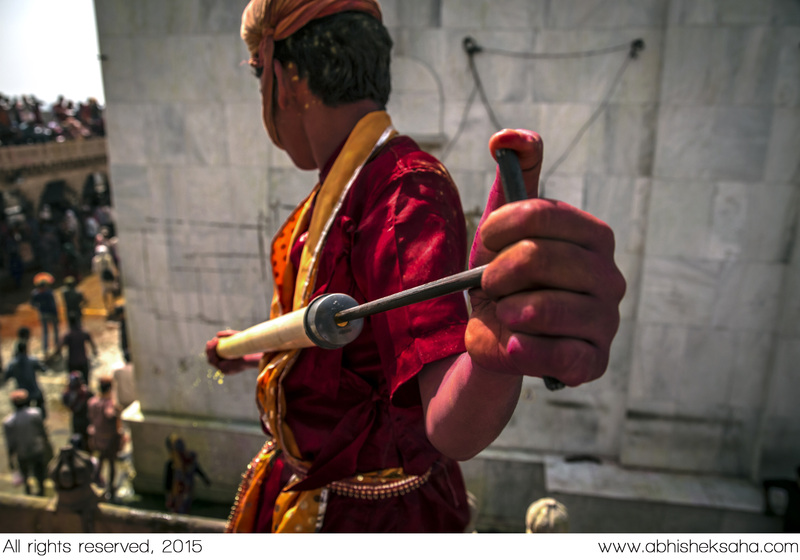 The next day, however, the tables are turned when men from Barsana visit Nandgaon and the latter’s women wield the lathis.